Hollywood Airbrush Tanning Academy announces their latest graduate, Stayce Hackett who flew in from the beautiful tropical island of Trinidad. 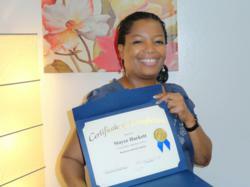 Stayce successfully completed the spray tanning training course in Los Angeles, California. The sunless alternative of traditional tanning is gradually gaining popularity in the tropical island of Trinidad. More and more people of color are now opting for spray tanning, in spite of their naturally tanned skin. Country's leading spray tanning training center Hollywood Airbrush Tanning Academy is playing a stellar role in this development. The most renowned airbrush tanning training center in the country is now making its presence felt in the Caribbean island of Trinidad. Stayce Hackett, the recent graduate from the academy, is now offering world class airbrush tanning services in Trinidad. Hollywood Airbrush Tanning Academy has been responsible behind the astounding growth of airbrush tanning throughout the country. Many of their students have successfully launched their airbrush tanning business all over the United States under the guidance of the academy. The Southern California based training center is owned and managed by Simone Emmons, one of the most eminent spray tanning professionals in the country. Airbrush tanning or spray tanning is the most advanced form of tanning that involves producing effects similar to conventional tanning without exposing the body to harmful effects of UV rays. Though most people in the island of Trinidad have colored skin by birth, many of them are now showing an inclination towards airbrush tanning. This type of tanning is quick and relieves people from spending time under the sun and offering a glow the natural sun can't give. Natural tanning may also leave uneven skin color and show tan lines in different parts of the body. Talking about the growing popularity of airbrush tanning amongst people of color, Simone says, "It is great to see people with colored skin taking great interest in spray tanning. Our latest graduate is from Trinidad and her spray tanning service is quickly gaining popularity in the island, especially during carnival season". Stayce has already been operating her highly successful beauty salon since last 11 years, offering services like facial, makeup, manicures, pedicures, nail enhancements, eyelash extensions and body treatment. Now she has also started offering top class spray tanning service under the brand name Stayce Hackett Beauty and Tanning, serving the western part of the island of Trinidad. Talking about her decision to start spray tanning, she says, "I am an Esthetician and have been for the past 13 years. I always like adding new services to my portfolio according to the growing demand of clients and so I've decided to add spay tanning to my list of services offered". Stayce can be contacted in Trinidad at 1 (868) 637-6196 or staycehackett(at)yahoo(dot)com. Hollywood Airbrush Tanning Academy is located in Los Angeles, California and offers an extensive Airbrush Tanning Certification program to anyone who wishes to learn the art and business of spray tanning. 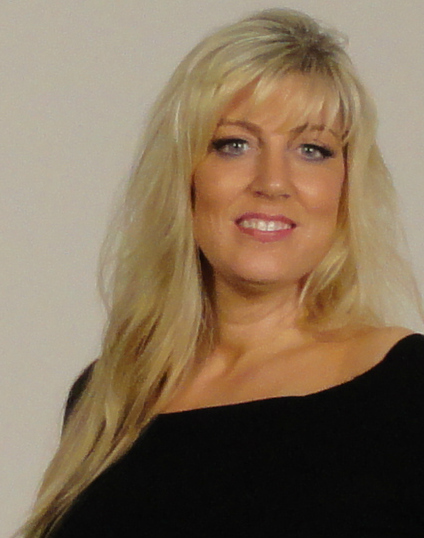 Simone Emmons, the creator of the spray tanning training program has been a professional, licensed spray tanning technician and teacher and has helped numerous entrepreneurs from Utah, Colorado, Nevada, Minnesota, Arizona, South Carolina, Oregon, California and the Island of Hawaii and Trinidad start a business in Airbrush Tanning. The spray tan program is unique because it provides hands-on and private spray tanning training to individuals who want to start an Airbrush Tanning Business. According to Emmons, this spray tanning program gives individuals a leading edge in starting an Airbrush Tanning business. Students have the option to choose from a full day course of 10-12 hours or two half day courses of 4-5 hours a day or though live video conferencing. Many tanning training institutions only educate students on their own equipment and products they sell, however Hollywood Airbrush Tanning Academy does not sell any of their own products and provides training and education on all equipment and good products in the airbrush tanning industry.